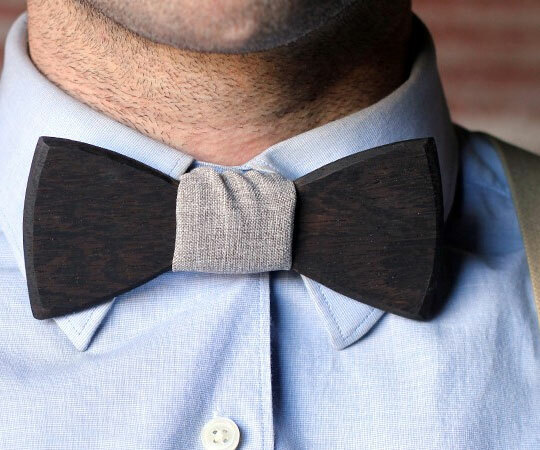 A Wooden Bow Tie delivers all of the fancy-fingerwork-not-required perks of a clip-on, without making its wearer just another schmo who showed up to the Garden State Inaugural Gala in a clip-on. Two Guys Bow Ties--comprising guys Adam T. and Tim P.--handcrafts their dapper neck enhancers from planks of exotic hardwoods. 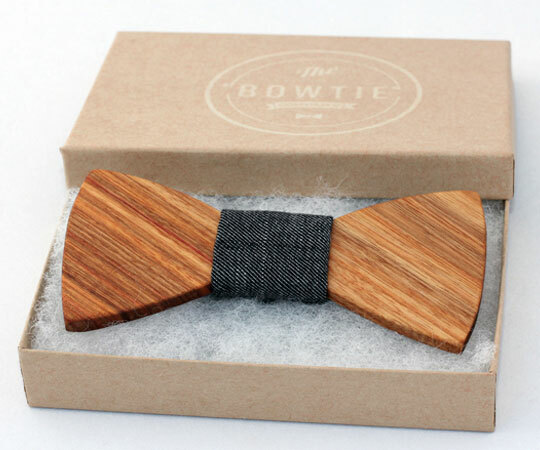 Over 20 styles, from smooth to striped to spotted, emerge from the likes of zebrawood, oak, maple, and bamboo. The guys also take requests for custom designs and wood types. Want to turn your old floor, permeated with memories of the days when you had to sleep and hay roll on it, into neck wear for posterity? Done. 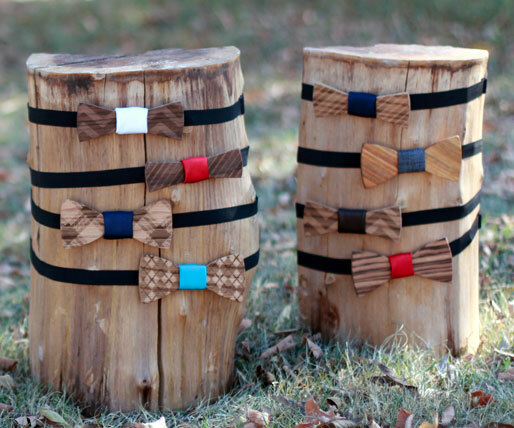 How about a Grandpa's work bench or a Grandma's rocking chair bow tie? Stuck on what to get LeBron James for his birthday? 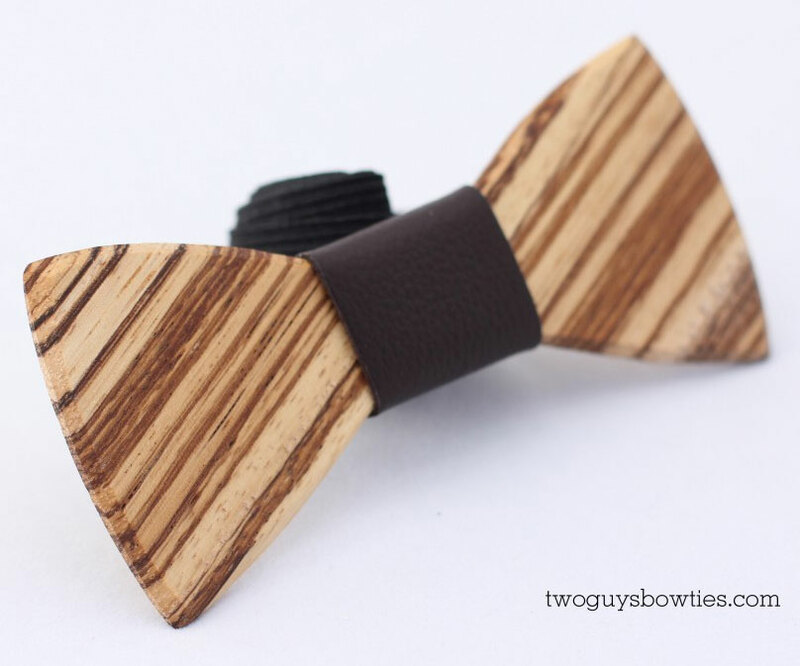 Two Guys Bow Ties will happily carve him a number out of the Miami Heat basketball court. You, however, will be responsible for pilfering a chunk of it. 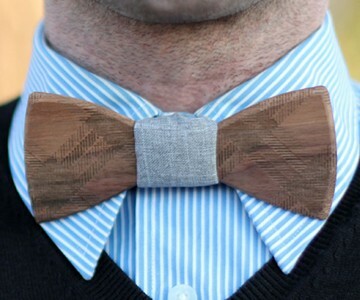 Wooden Bow Ties, like babies, have all been given names by their creators. So that when people inevitably comment on the dope butterfly-shaped planking so nicely setting off your Adam's apple, you can introduce said impeccable fashion sense as Darnell, Marvin, or Reginald.